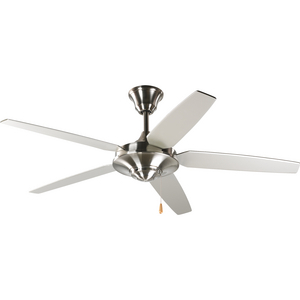 54" five-blade fan with reversible Silver/Natural Cherry blades and a Brushed Nickel finish. 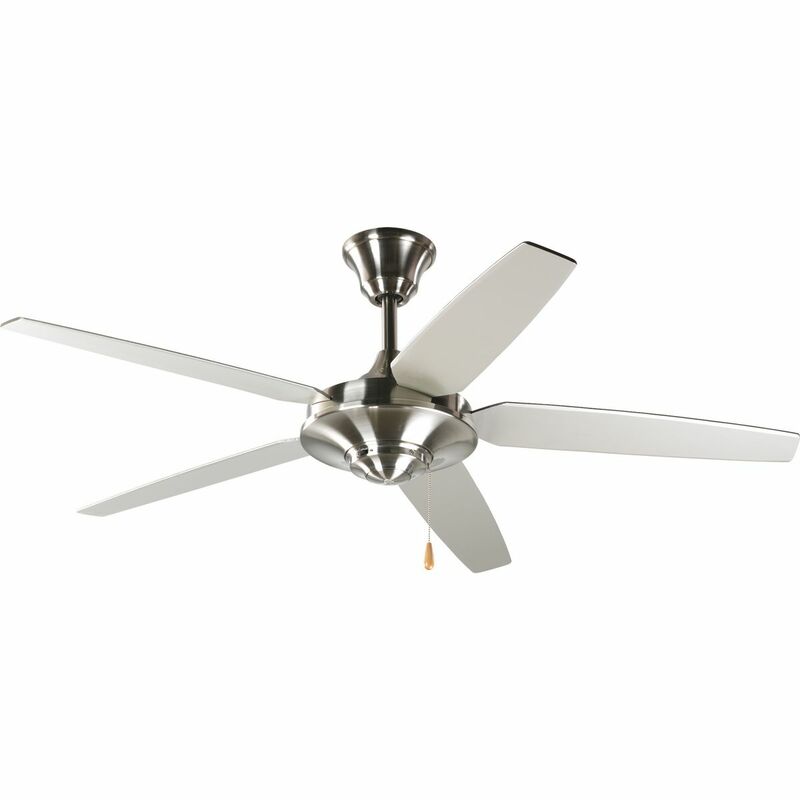 The AirPro Signature ceiling fan offers great performance and value. This contemporary styled fan features a powerful, 3-speed motor that can be reversed to provide year-round comfort. Includes innovative canopy system that can be installed on vaulted ceilings up to 12:12 pitch. 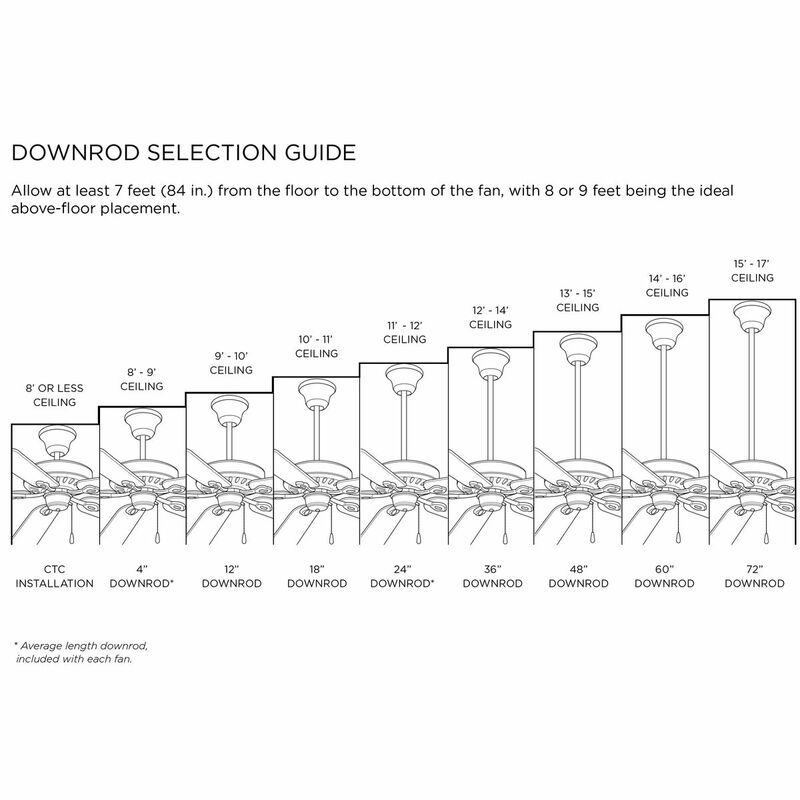 A 1" x 6" downrod is included, however, longer downrods can be ordered separately. Can be used to comply with California Title 20. AirPro Brushed Nickel 54 In 5-Blade Fan.